Geo Icon, 2014 Acrylic, Silkscreen, Gold And Copper Leafing On Canvas 30" X 24"
A series of paintings with compositional qualities that reflect spaces of weightlessness and expansive consciousness. 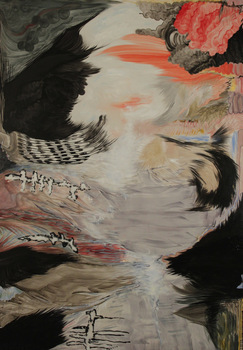 Focus on predatory birds as visual reference - color, pattern, gravitational and mental freedom. 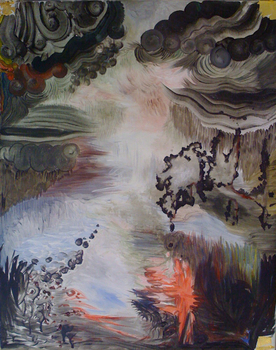 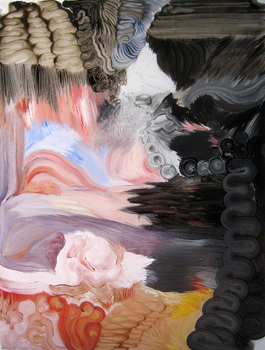 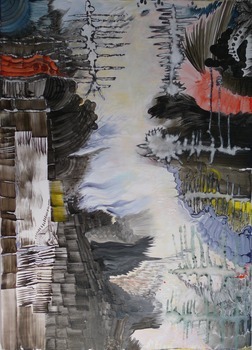 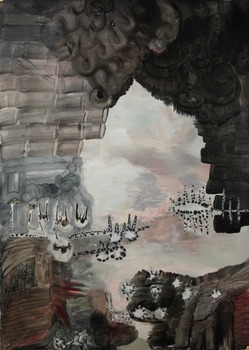 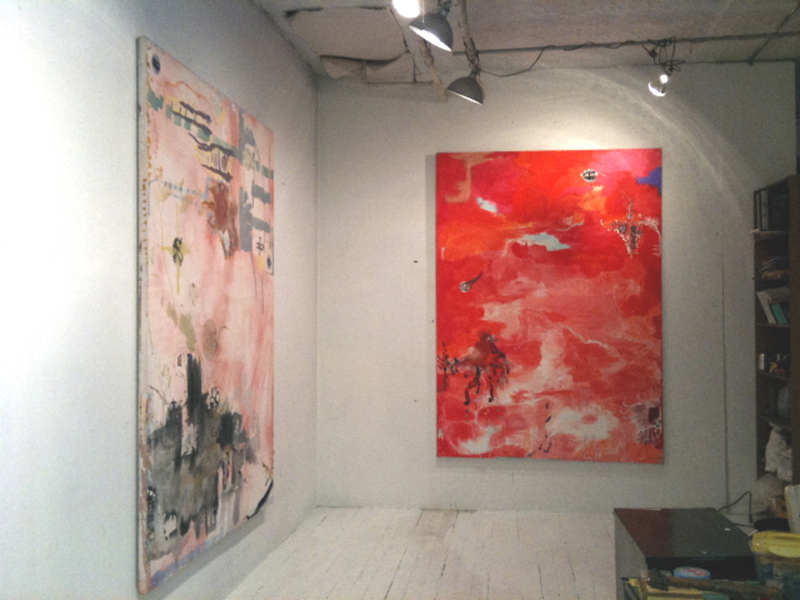 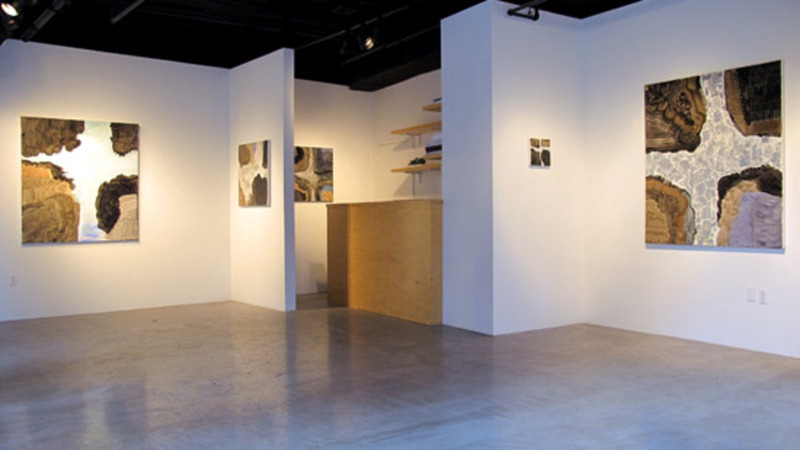 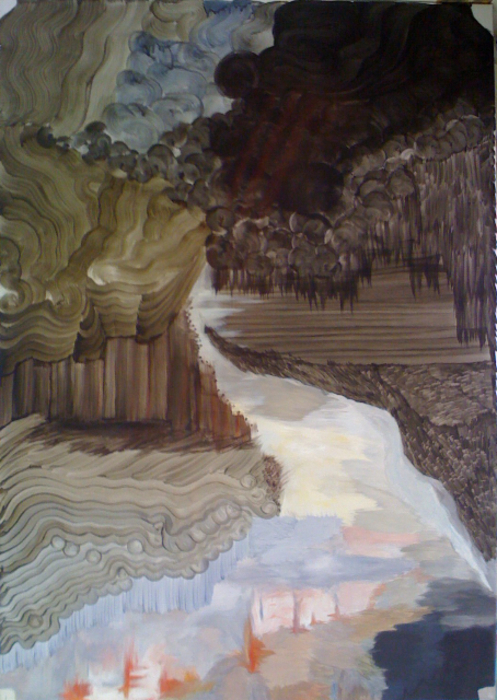 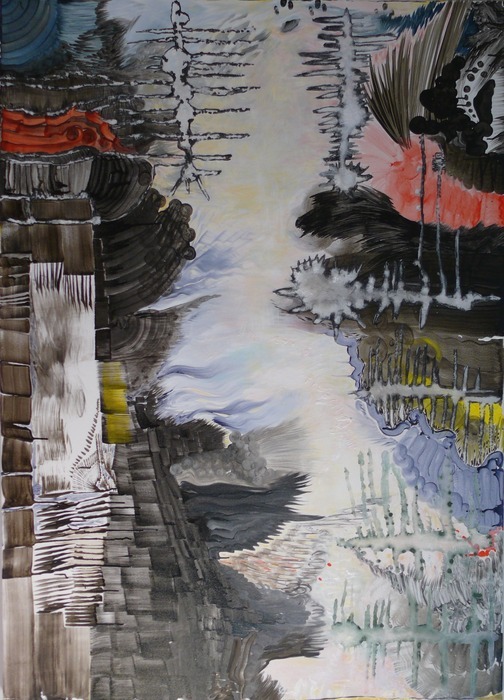 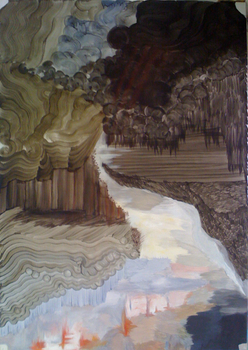 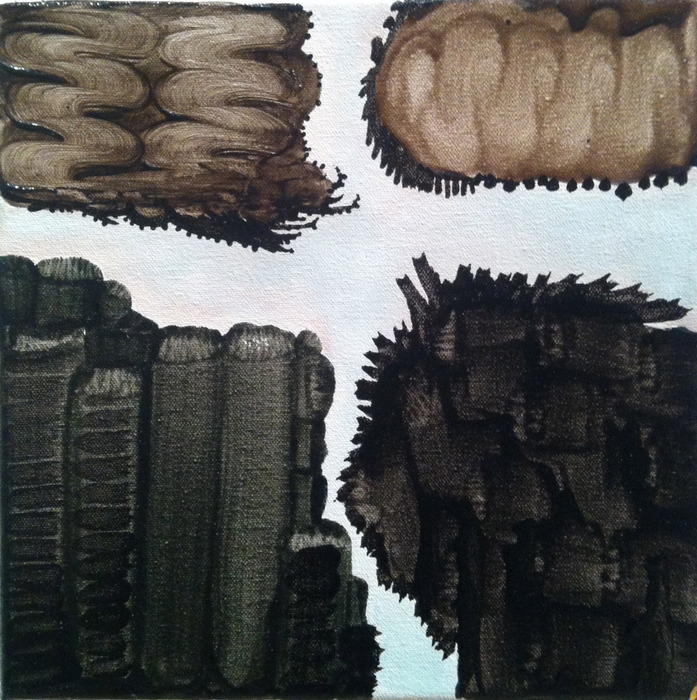 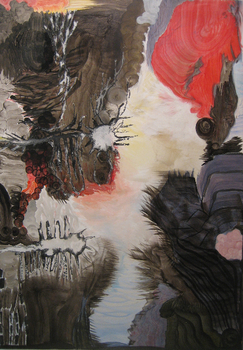 Cyphers painting investigates and finds inspiration in the processes of Evolution and Entropy. 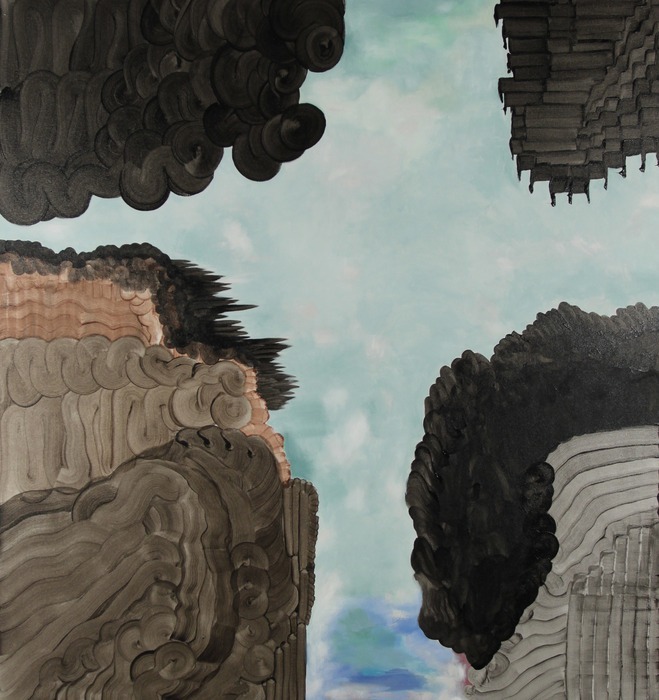 Cyphers's earlier large scale paintings document and channel the horror and magnificent processes of human destructive forces and natural phenomena.